IObit today announced a free giveaway campaign for its award-winning Advanced SystemCare PRO, one of the world’s leading software utilities. This Valentine’s Day, participants can send friends and family a free one-year license of Advanced SystemCare PRO as a gift, regularly valued at $19.95 USD. The Campaign will begin Feb. 14, 2012 at 12 am (PST), and last 24 hours. Advanced SystemCare was ranked one of the top two utilities on CNET Download.com’s annual list of the Top Downloads of 2011 for Windows, and also took the top position in the Utilities & OS category. 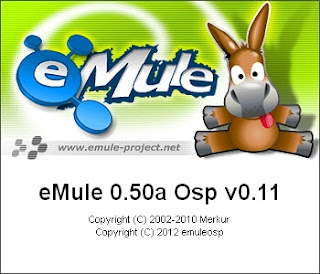 This powerful tool protects PCs from malicious software and hidden Internet threats, fixes stubborn errors, removes clutter, optimizes Internet and downloads speeds, ensures personal security and maintains maximum computer performance automatically. For more information on Advanced SystemCare PRO and this special offer, please visit: http://www.iobit.com/ld/2012valentine_giveaway/. Advanced SystemCare is a one-stop solution for PC performance headaches. By cleaning, repairing and optimizing, AdvancedSystemCare acts like your very own PC technician. More than 130 million users have downloaded Advanced SystemCare, which has been recognized by leading industry outlets including CNET download.com, PC Magazine, Tucows and ZDNet. Founded in 2004, IObit provides consumers innovative system utilities for superior PC performance and security. IObit is arecognized industry leader with more than 100 awards and 130 million downloads worldwide. SIGN UP NOW... IT'S FREE...!!! There are none... this account is totally FREE..!!! 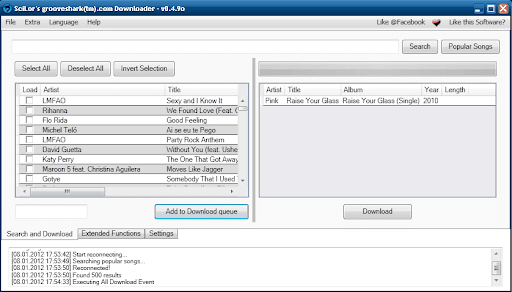 SciLor's grooveshark™.com Downloader is a tool for downloading and playing music from Grooveshark™.com. 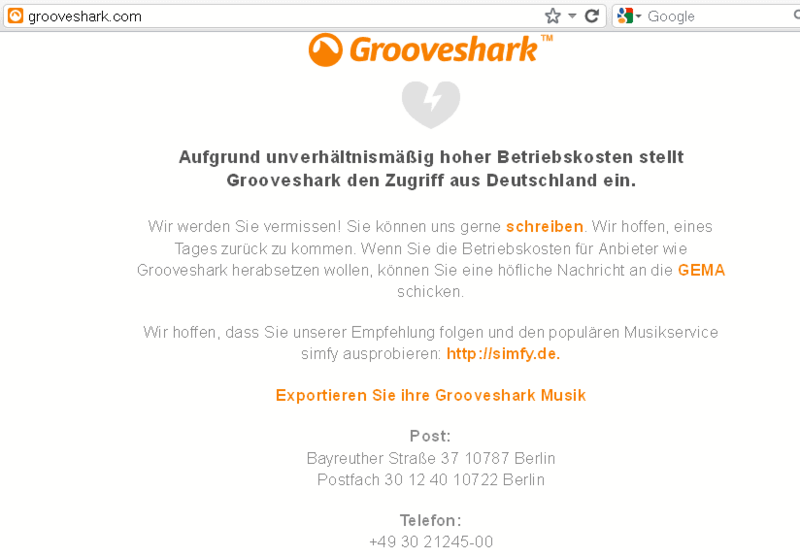 It offers several languages (such as: catalan, french, german, germanbavarian, portuguese, spanish, swedish, turkish, italian, danish, hungarian). This tool has the Tor Project included (optionally). 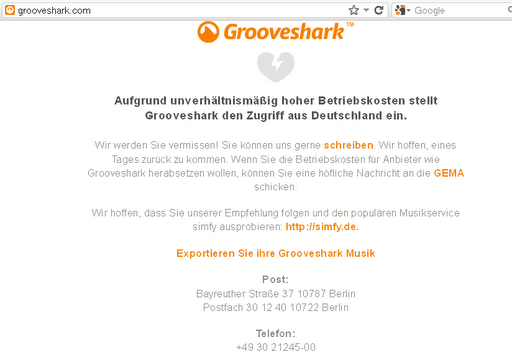 Are you from germany, where grooveshark(tm) is blocked? This will work for you! I suggest to use from EU countries (Germany, France, Belgium, Austria,..) permanent a good VPN provider next to your ISP to access the net without limits. Not only YouTube also P2P and so on and save you from possible troubles. Besides that stay anonym while using the internet. 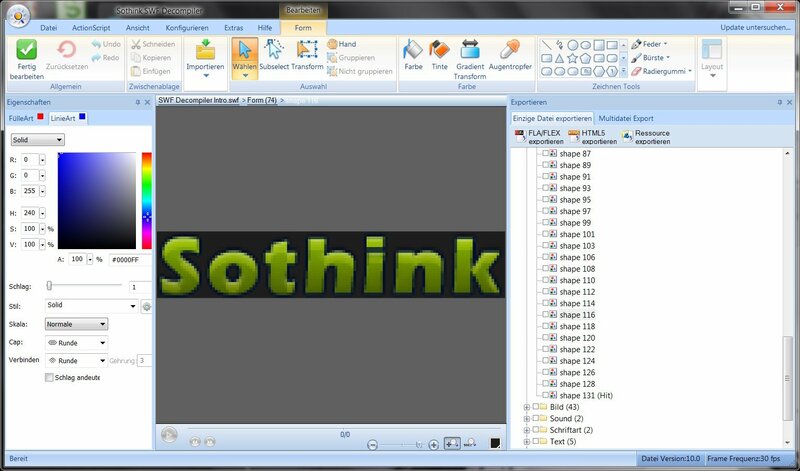 Also thanks fly out for all the translators who helped me to bring this piece of software into several languages!